A steam mop is an environmentally way to clean your floors. This is a guide about using a steam mop. The water in my area is horrible. I love my Shark steam mop, but the water here stops it up. I find if you run vinegar and water in it, it keeps the floors squeaky clean and the machine running great. It also works great for your car window wash fluid too. Anyone use the H2O mop? I have an H2O mop and I love it. I have a day care in my home and use it every day after the kids leave. It's easy to fill, gets into corners, uses no soap, so it's better for kids, uses washable cloths, so it's frugal, and works quickly, with no scrubbing...sure saves the knees! The pointed head gets right into the corners and in behind the toilet. Heats up fast and doesn't take up much room. I got mine at Canadian Tire. Zellers and Walmart also sell them. I would advise buying it from a store, then if you don't like it, you can return it without them keeping the "shipping and handling fees". I have had three H20 Mops over the past 18 months. The first two failed within a few months. Each time Bed Bath & Beyond did the right thing and replaced it. The third one today failed and no longer heats up. This one did last longer than the other 2 (about 7 months, but it had less usage too) and it also had its own problems. The handle could not remain in the upright position. We hated this but felt taking it back was too much hassle. This product is junk. Customer service is a joke. It's too bad, because when they worked they cleaned nicely. But Thane (the manufacturer) builds a crappy product that won't last, and they will not stand behind it. The "testimonials" on the website, I believe, are false. I have posted my dissatisfaction, and they have never appeared. Nor have they bothered to contact me. Kudos to BB&B for their great customer service. I understand they no longer carry these in stores. I wonder why? Oh, the latest wrinkle is that Thane now states the failure is due to not changing the water filter. And now Thane states on the troubleshooting tips on their website that you must replace every 3 months if the mop is used 3 times per week?? The filters on the website are listed for 17.95 / 2-pack. Let's see.... that's 4 filters per year, and additional $36.00 (+shipping). They didn't mention in the ad, did they? They claim you're able to get them at your local retailer? Ask around. The only thing you'll get is a deer in the headlights stare! It's a shame our consumer agency allows this company to bring this faulty product in the US. What a joke. I am going to try and return this to BB&B. I hope they will refund my money. Of course they should be compensated by Thane, but I doubt that would happen, especially if the vendor support is anything like their customer service! So bottom line; You are now supposed to replace your filter every 3 months, thus, Thane is simply saying don't expect the mop to last much longer than 3 months. That is their "truth in advertising," I guess. Stay away and don't waste your money! Save yourself the hassle and forget about buying one of these. PS: I am sure that some law firm could easily have a huge class action claim against Thane. This is a no brainer! Gr8 cleaner, but there is no way to lock it in an upright position. I used it for 3 months, leaned it against wall, it slid down and the mop section plastic snapped and broke away from handle unit, rendered it useless. The warranty is up and it would cost too much to ship for repairs, plus cost of repairs, and ship back to me. I don't think I'll buy another! Question: Anyone Used the Shark Steam Mop? I'm thinking about getting a Shark cleaning mop and I'd like to know if anyone else has one and do they like it. I'm not sure about cleaning with just water. I checked out the Shark, and got an "H2O Mop" instead, because the Shark has an oblong head, while the H2O has a triangular head. I find the H2O fits into the corners and tight places, like behind the toilet, better because of the head shape. As to cleaning with water, it is the steam that you are cleaning with, not the hot water. The steam does a great job of cleaning and disinfecting floors. I use it on kitchen vinyl, bathroom ceramic, as well as on my hardwood floors and it works great. I have one and really love it! I have a shark and really like it. But then my house doesn't get really dirty either (I'm lucky for once!) I also appreciate the reduction in the amount of chemicals I dump into my septic tank. I just got one and so far I love it. It came with 2 different heads, rectangular and triangle, and a carpet glider. I have cleaned my laminate floors, and bathroom/laundry room tile and they feel so clean. It even loosened all the build up from hair product over spray. The non-cotton pads glide better than the cotton pads. This is for smooth floors - not tile floors with jagged edges! Wish they had an on and off switch for fingertip control instead of having to unplug the unit. We just bought an older, refurbished home. The contractor/flipper put dark laminate flooring in the livingroom and bedrooms. I have always had reservations about this type of flooring, because of the water spotting, etc. Has anyone successfully used a steam mop on laminate? and if not, what do you use? I have purchased a steam mop and I notice that it leaves more water on the floor than I would like. Any tips on using the steam mop with less water results? I suggest to go to their site, get a phone number, call them, tell them your problem, and search for "contact their inc name". Good luck. I am looking to buy a steam mop and am confused as to which one to buy. Does anyone out there have one and/or can anyone recommend a good one? I purchased the Shark Steam Mop and so far, it's been great. I had a Laminated floor put in the Kitchen and it does a fantastic job on that...afterwards, I just place the pad in a tub with Woolite, and let set overnight...hand rinse in the morning... I'm happy!! My sister-in-law has a H2O mop. She says it works good. I have an "H2O" Mop. It has a triangular shaped head that actually gets into all the corners! I have hardwood floors and it dulls them, but if you walk around in socks for a few hours, the shine comes back as good as new. I also use it in my bathroom. On ceramic tiles, it works great. Gets in behind the toilet. Easy to use and the cloths go into the washer. I bought extra cloths and do a load of them once a week. I have a home day care and wash my floors with this every day. Love it! I also bought a Shark Steam mop, mine from Bon-Ton. I honestly didn't look at any other mops. I had seen the infomercial a long time ago for this mop, but didn't want to spend the money on it. Then two coworkers each bought one and they had me sold for sure. It's easy and fast to use, and the two pads it comes with are machine washable. I bought my Shark steam mop from BJ's - best price plus 5 pads. I love it! 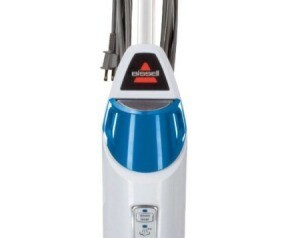 I am looking to purchase a steam mop or cleaner. I have tried one and was very unhappy with it. There are so many to pick from, I would like to hear from other buyers on what their experiences have been and if they have found one they are happy with. Thank you. Can you use the Enviro Steamer mop on congoleum type flooring? It's sheet type flooring, not sticky tiles? I recently purchased the Shark Steam Mop and I like it, however it leaves a dull streaky finish on my floors. I have laminate (Pergo) and tile. It's doing it on both. Has anyone else experienced this? If so, what did you do? I just used a Bissell steam mop on my hardwood floors and in several areas there are white cloudy rings forming as it dried. How can I fix this problem? Does anyone know of a cleaning solution that can be used in the H20 steam mop? I thought the whole idea with the h2o mop was that you didn't need cleaning solutions. I agree. I have a Shark Steam mop. You only use water in it. If you have a very dirty floor, you can spray something on the floor and use the steam mop to finish. Can you use a steam mop on pergo flooring? I wouldn't, steam will cause glue in pergo material to break down and warp. Best product I've used for my wood floors is Murphys Oil soap. Wring mop as dry as you can or water will settle in cracks and warp. Absolutely not. The steam will get into the Pergo and cause de-lamination. We use a little Windex on a sponge mop. It cleans very well and dries almost instantly. Do I have to use anything else other than water in a steam mop? I purchased an H2O mop advertised on TV. I have contacted Home Trends (since their name is shown as shipper) with a complaint about two months ago. I have never heard back from them. We decided it must be a short in the electrical system. When the mop produces steam and you put the handle down it stops completely. I have never received an acknowledgment from them. Can someone help me? The H20 Mop is manufactured by Thane Direct USA, and you have a one year warranty. You can contact them by email or by sending them a fax. The link is to the Thane Direct website, their question and answer page. If you scroll down you will see a question about the warranty. Their contact information is there. I hope this brings good results for you. I have the Shark Steam Mop S3101A. Instead of spending $40 for 4 extra pads I was wondering if anyone has used the microfiber cloths sold in the stores? Did you have to double it? Will a steam mop clean lightly dirty carpets? Can I use a solution of vinegar and water in my Holme steam mop to clean my carpet? I saw a bottle of Febreze for steam mops. Which steam mop can I use for it? 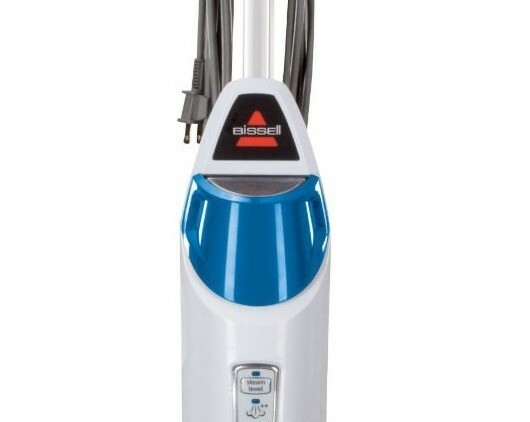 I just steam cleaned my wood floors with the Bissell Steam Mop and my floors have turned cloudy and look dirty. Any ideas out there to fix this? Bissell had nothing. I think it is buildup on your floors from the Orange Glow. I used to use this and would get cloudy "areas" whenever I got water on the floors. I ended up having to strip the floors by hand with vinegar and water scrubbing with Teflon scrub sponge, big job, but I'm happy now. Archive: Anyone Used the Shark Steam Mop? I'm looking for reviews on a product called the Steam Shark. Do you like it, and is it worth the price? Anyone Used the Shark Steam Mop? I've had my Shark Steam Mop for about a year now and it's just about the only thing I use on my floors now. I love it. If my floors are extremely dirty (spills, mud, etc) I will damp mop it first. But otherwise I use the Steam Mop exclusively and my floors have never been cleaner. My white socks even stay white. Sometimes I will add just a touch of Mr Clean with Febreze to the water, but usually I use plain tap water. It has an extremely long cord so I don't have to keep unplugging and plugging. It only takes about 15 seconds to heat up. And it's so lightweight it's very easy to use. And it dries in seconds, too. The only problem I have with it, is the pads are fairly expensive. But I found a way around that, too. I found patterns (one knit, one crochet) to make my own pad covers for it and plan to make several.